The music heard on this recording represents a cross-section of the sacred choral pieces I have written over a period of some twelve years. Two paramount considerations have shaped it: first, the performers and occasions it was commissioned for, and second, the texts (which I always choose with great deliberation). 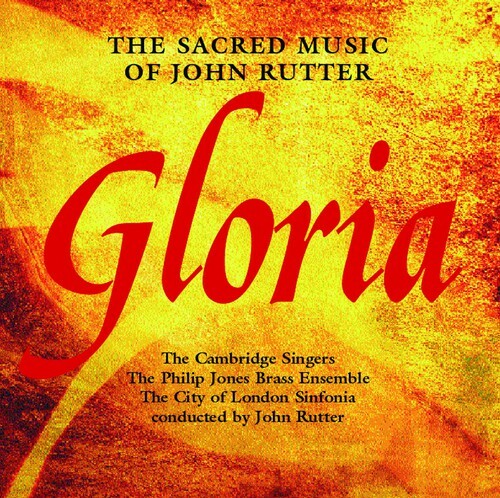 Gloria, the most substantial piece, was written as a concert work. The Latin text, drawn from the Ordinary of the Mass, is a centuries-old challenge to the composer: exalted, devotional and jubilant by turns. My setting, which is based mainly on one of the Gregorian chants associated with the text, divides into three movements roughly corresponding with traditional symphonic structure. The other pieces are all anthems, primarily intended for use in the context of a church service. They range in difficulty from very simple to fairly challenging, though it was my hope in writing them that none would be beyond the reach of a capable church choir. Although the accompaniments were originally for organ (or, in the case of For the beauty of the earth and All things bright and beautiful, for piano), I enjoyed scoring them for orchestra and prefer them in this form. The three unaccompanied pieces, however, (God be in my head, Open thou mine eyes, and A prayer of Saint Patrick) reflect my love of the a cappella medium.